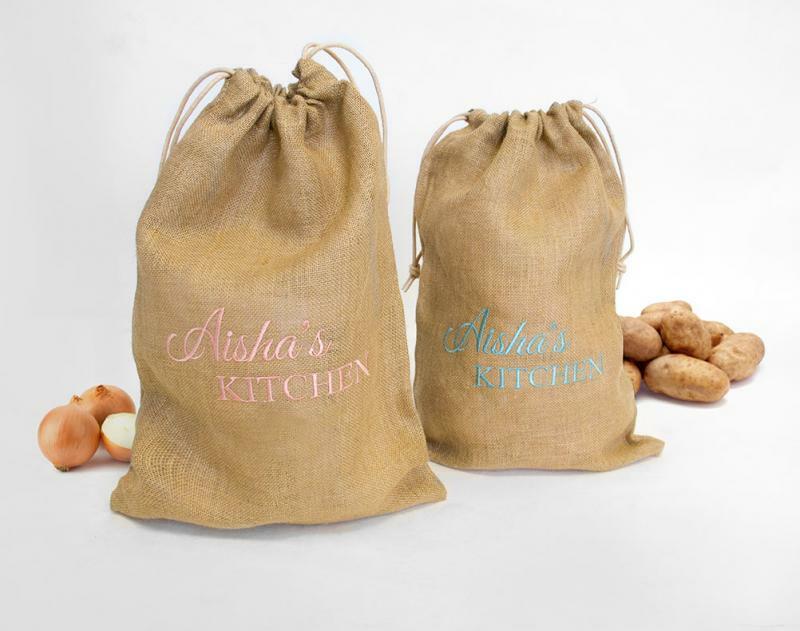 Organise your kitchen with these personalised vegatable jute sacks. 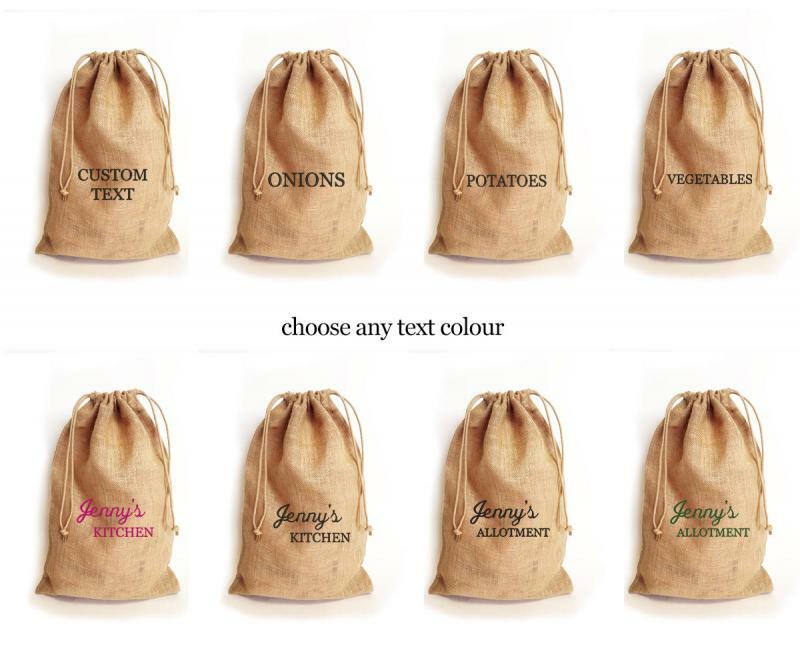 Choose from some of our set designs for Onions, Potatoes or Vegetables. 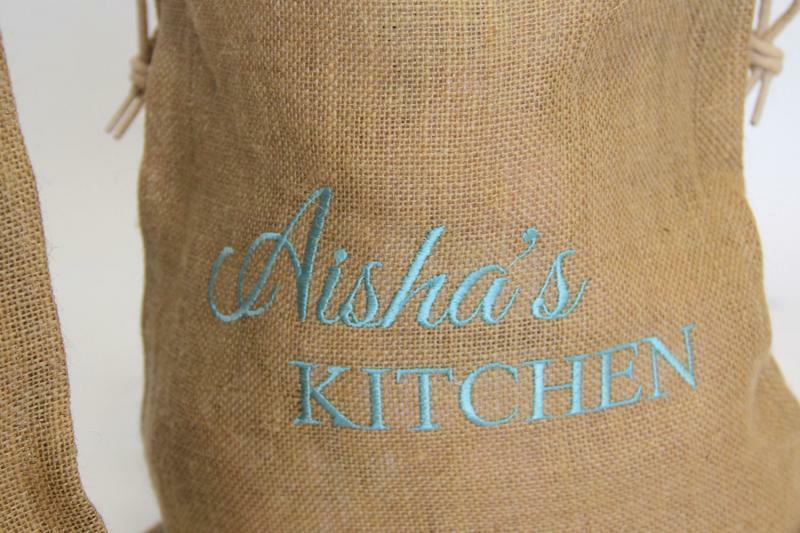 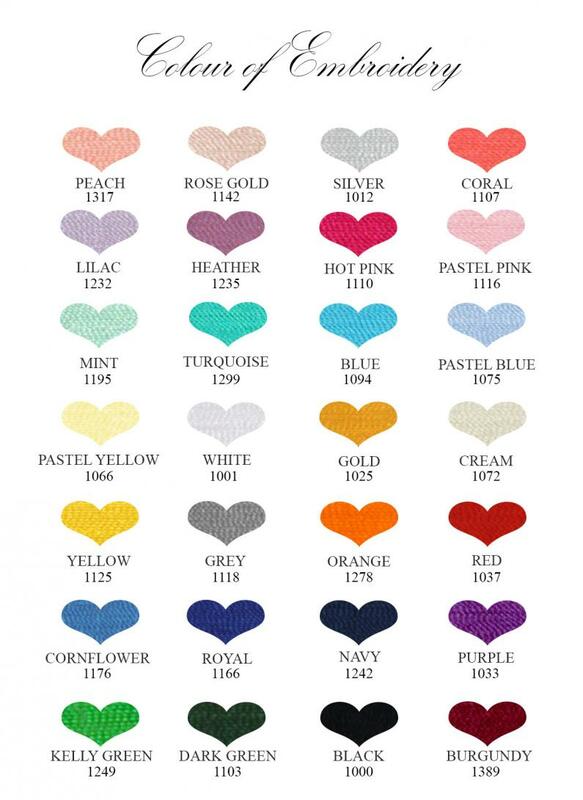 Or personalise one with a surname or friends name. 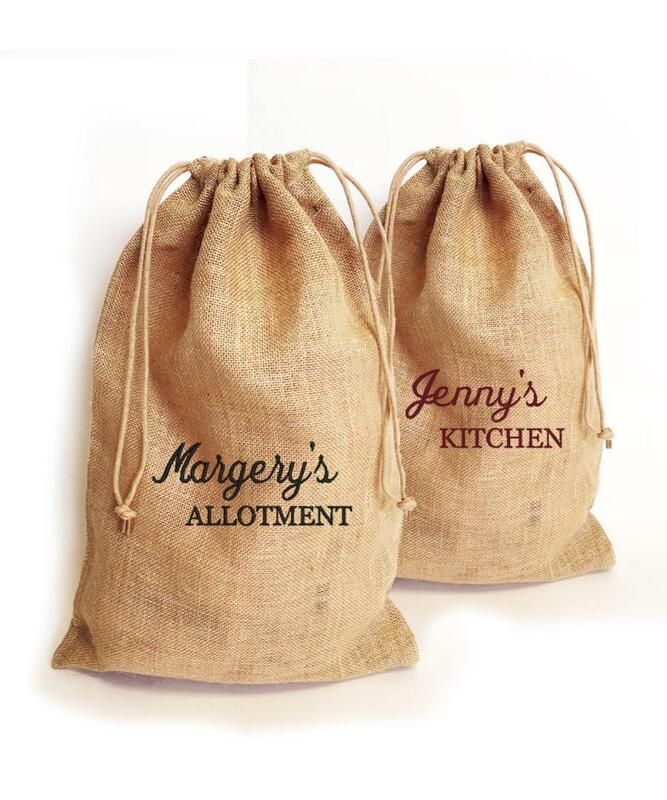 A lovely gift for avid gardeners and cooks who love to use homegrown veg.